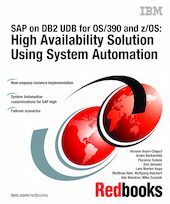 This IBM Redbooks publication explains the SAP high availability with System Automation solution. This solution provides the means for fully automating the management of all SAP components and related products running on OS/390, z/OS, AIX, Windows, or Linux. The automation software monitors all resources and controls the restart and/or takeover of failing components, thereby ensuring near continuous availability of the SAP system.